Momentous change in store for 2018 | Command and General Staff College Foundation, Inc.
Change affects all organizations. How well the organization plans for and responds to change determines how successful it will be. In the past couple of years, the CGSC Foundation has been undergoing significant change and we are planning for 2018 to be no exception. 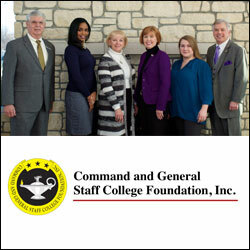 CGSC Foundation Staff (left to right): Col. (Ret.) Douglas L. Tystad, CGSC Foundation President/Chief Executive Officer; Jennifer Herron, Foundation Database/Gift Shop Operations; Ann Soby, CGSC Foundation Director of Operations; Joan Cabell, CGSC Foundation Director of Development; Elizabeth Ditsch, Simons Center Program Assistant; Col. (Ret.) Roderick M. Cox, Program Director, Simons Center. Not pictured: Linda Carpentier, Foundation Social Media; Lt. Col. (Ret.) Mark H. Wiggins, Communications Consultant. In 2016 and 2017, the Foundation made significant changes to our by-laws which drove changes to the officer structure, committee charters, and the nature of support that we provide to our mission. With the advent of Army University, we have had to look at how the CGSC Foundation will support the larger university or even if we will. The major decisions on that lie ahead as Army University gains more definition, but our by-laws change establishes the framework for the Foundation to change with the times. One of the most striking changes is that the board of trustees has moved from a large membership with a strong executive committee doing most of the work, to a smaller, much more engaged membership. We are currently at 26 members and holding rather consistently. Our new officer structure allows continuity in leadership as we move forward. And, our committees have been leading the way in driving engagement. Our board is vibrant and our members share the vision for our future. In 2018, we will see staff changes as we move to new staff leadership. Two major changes are planned that I must tell you about and I want to assure you that we are planning for a smooth transition. First, our Director of Operations, Ann Soby, will retire in October. Ann has been with the Foundation since 2009 and has become a key ingredient in our successful program events, the gift shop, and our office management. If anyone could be considered indispensable, it would be Ann. She has done a magnificent job and has established a sterling reputation for excellence. She and her husband Chuck have made the decision to retire and begin a new phase in their lives. We will advertise for her position beginning around the first of June, so if you are interested or know someone who is interested, be on the lookout for the announcement and submit your application. Our plan is to fill this position as early as possible so that we have overlap with Ann through our major fall activities prior to her departure. Second, I have announced my intention to the board of trustees to also retire at the end of the year. When I took this job in 2013, my personal goals were to work another four to six years and then retire with Val to our next phase of life. I love this job and I’m a true believer in the mission and importance of the Foundation, but it will be time for a younger leader with new ideas for the future to assume control and lead the organization forward. 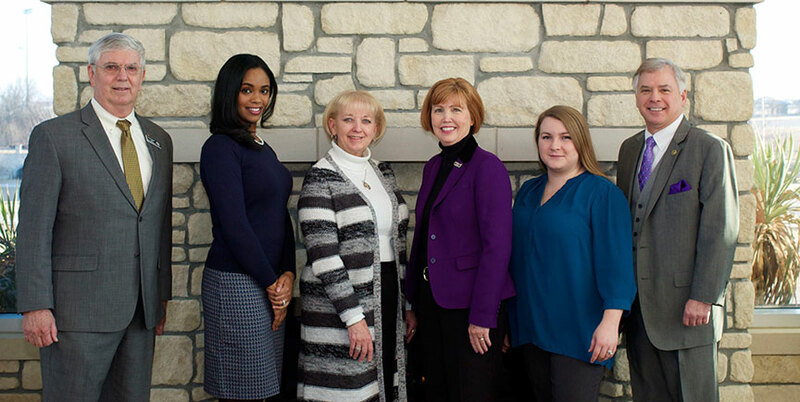 The board of trustees formed a CEO Search Committee to develop the job description, review the compensation package, and conduct the hiring process for the new leader. We will announce the position in a variety of publications, web sites, and job boards beginning mid-April. As in the operations position, we are planning for a certain amount of overlap with the new leader prior to my ultimate departure at the end of the year. The board and our staff are dedicated to ensuring smooth transitions as we go through the upcoming changes. I believe that the organization will benefit in the long run as we continue our mission to support the development of military leaders of character and competence for service to the nation.